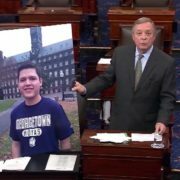 The Ignatian Solidarity Network is joining the call of the U.S. Conference of Catholic Bishops and asking you to support their message to senators and representatives. As a Catholic I write to express my strong support for the “Bar Removal of Individuals who Dream and Grow our Economy (BRIDGE) Act,” S.128/H.R. 496. 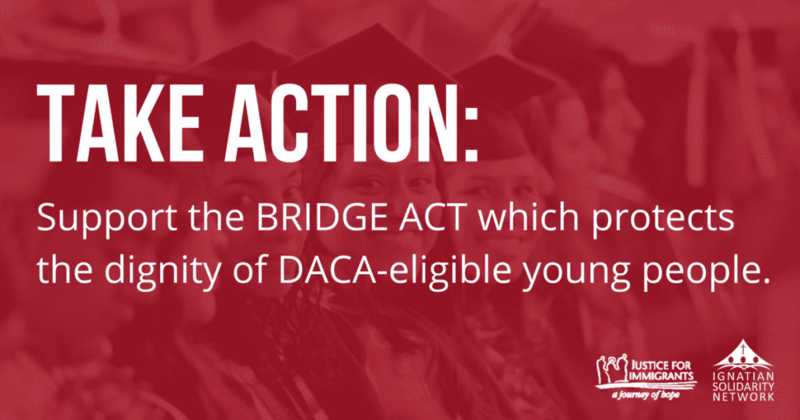 The BRIDGE Act protects the dignity of DACA-eligible youth by ensuring that these individuals, who were brought to the United States as children and are contributing so much to our nation, can continue to live their lives free of the anxiety that they could be deported at any time to a country they do not know and separated from their families. 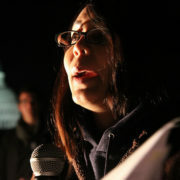 • Continue to work towards larger legislative reform of our immigration laws. 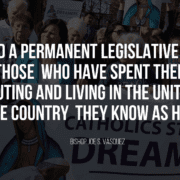 The Catholic community stands with you in support of the BRIDGE Act and vows to work with you to reform our immigration system in a humane and common-sense manner.